I can't really explain how much I love this dress. I bought it over a year ago from Buffalo Exchange and it remains one of my favorite items in my closet. 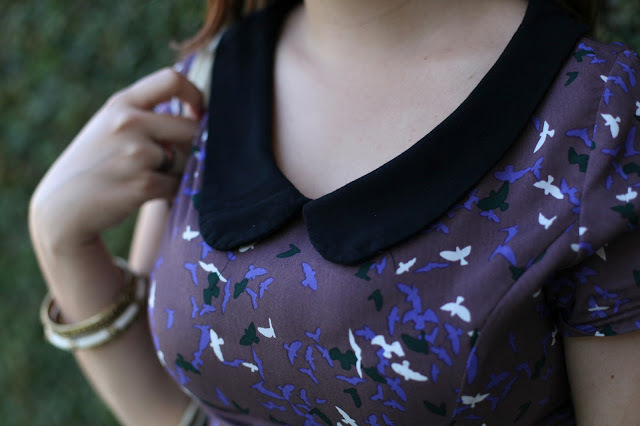 It just fits perfectly, it has a peter pan collar, it's in my favorite color, and it features an adorable print; Basically, it's perfect. I've spoken before about the ridiculous amount of blogs I read daily, but if I had to choose, The Clothes Horse would be favorite. It's at the top of my bookmark list and it's the very first one I visit every day. It isn't just that Rebecca has lovely style or takes the most stunning photos, I love reading her writing and she's always come across as someone I'd want to be friends with. 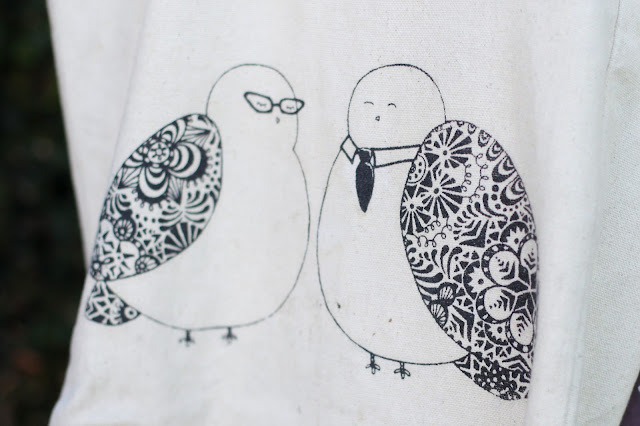 When she designed this tote bag last year, I think I bought it the day it went on sale. Not only do I love being able to throw things in a tote every so often (especially for class), but the I couldn't help but want to own something designed by someone I admire so much. Well, that, and it was too cute not to get. I'm starting to count the days until I get to back to Illinois for school. I've definitely gotten a little too comfortable being at home in CA, but I'm ready to get back to work and start being busy again. Besides, all of this free time is doing some major damage to my bank account. I need to stop shopping. Are shopping anonymous groups real? If so, I should probably join one. I think my favorite part of this dress is that collar, omg, adorable. You're rocking it! Checking out that blog, right now! P.S. I'm looking forward to school starting again too! Even though summer is fab, school is exciting and I LOVE fall. Glad to know I'm not the only one out there, does this make me a total nerd? I absolutely love the collar on the dress. 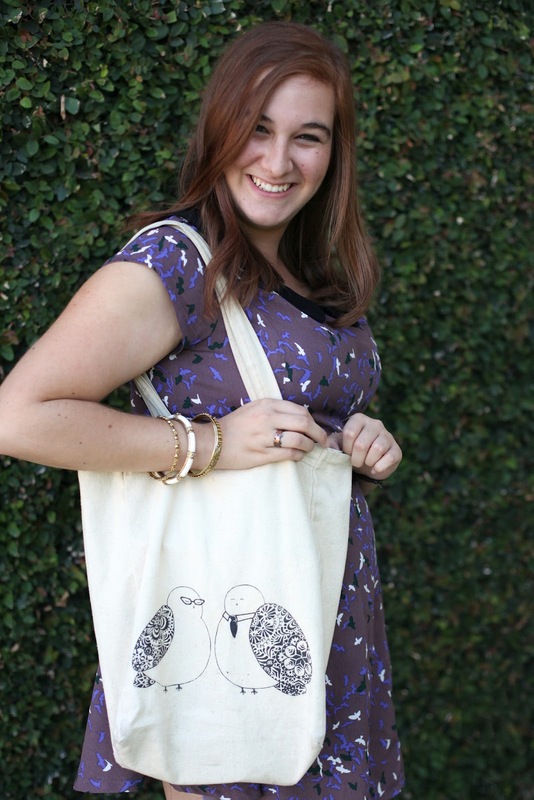 And I love owls so naturally love the tote also. The clothes horse is up the top of my reading list too. 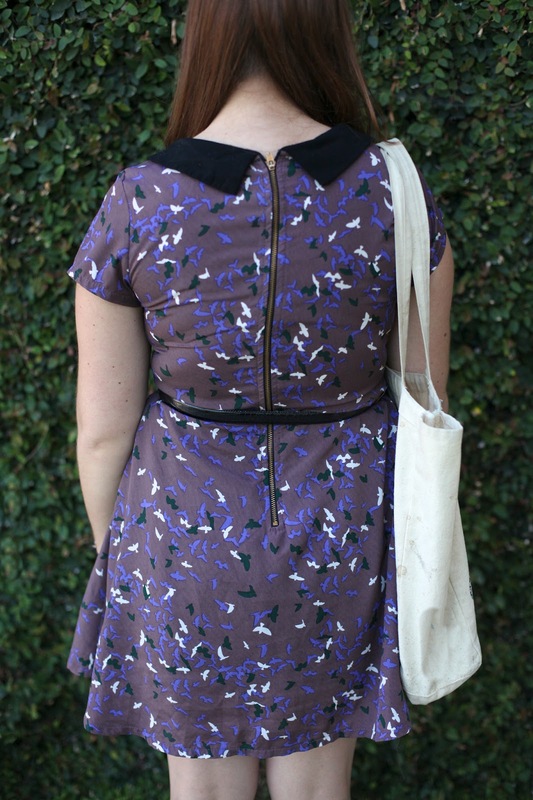 First of all, your dress has birds and I love it. I am a fellow bird wearer. Secondly, I'm sort of in love with that tote. so cute and simply :) love your dress. 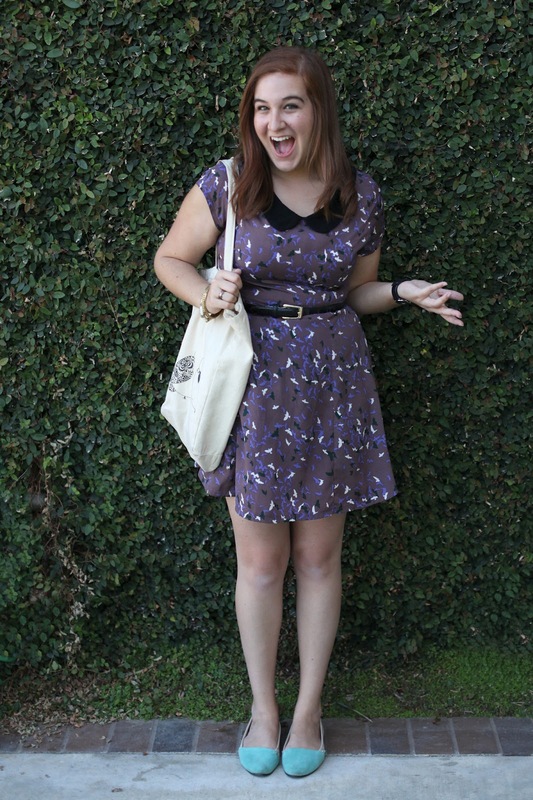 I can see why you love that dress - to say it's fabulous is beyond an understatement! 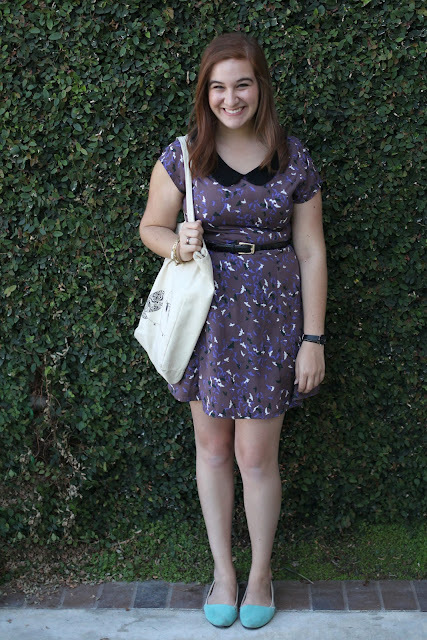 Love the print and the bag is very adorable too! Loving your blog so much sweetie! that toe is ADORABLE! rebecca has the cutest little drawings. she always seems like a whimsical creature to me, i can't quite explain it. i love looking through her stuff. and i LOVE this outfit - oh my goodness! 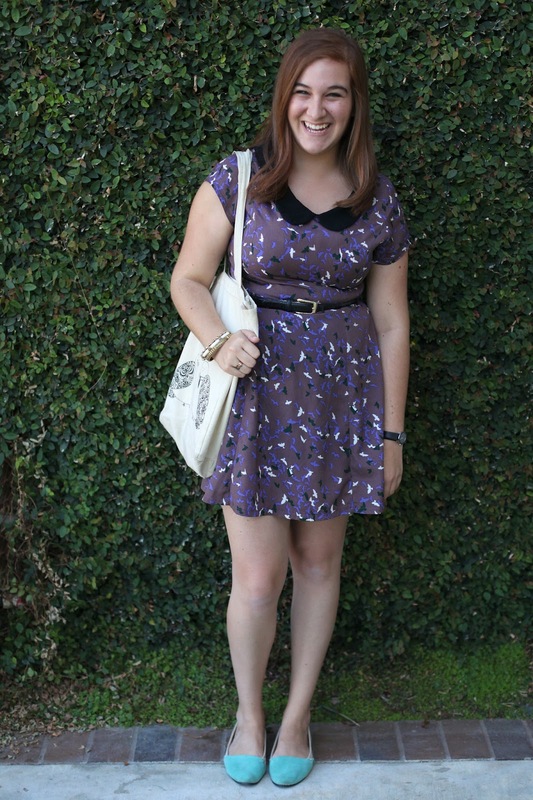 that dress is adorable (i love bird prints!) and those green loafers are perfect. and i love your blog! I love your dress so much! And the bag! Ah, you look SO cute! Super cute! 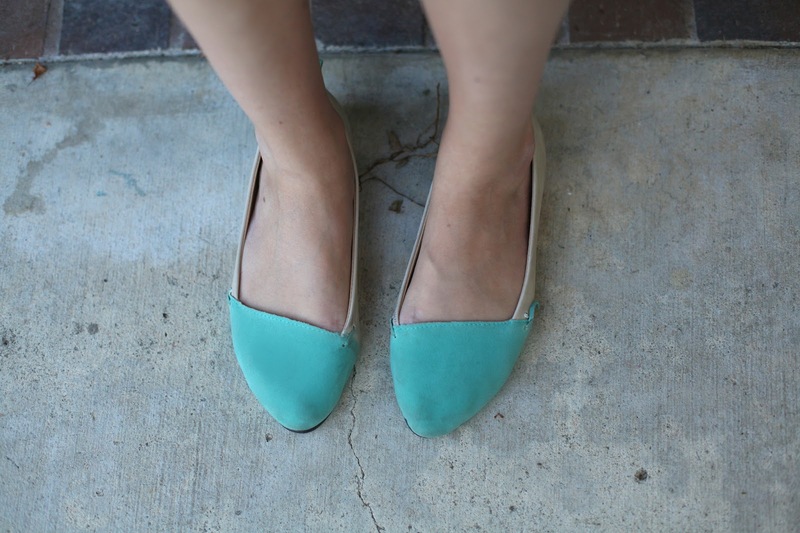 Love this whole look, especially the flats. This dress suits your body perfectly! I wish I had dresses that fit me like that! Great dress. I love any top/dress with a collar.